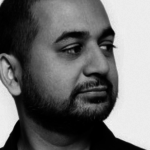 Anil Dash is an entrepreneur, activist and writer recognized as one of the most prominent voices advocating for a more humane, inclusive and ethical technology industry. He cofounded Makerbase, an online community for people who make apps and websites, and Activate, the boutique management consultancy which defines strategies for the most important companies in media and technology. Described as a “blogging pioneer” by the New Yorker, Dash has been blogging continuously since 1999, earning recognition as a Webby honoree with one of the only personal blogs to have been cited in sources ranging from the New York Times to the BBC to TMZ, as well as hundreds of academic citations. In 2013, Time named @anildash one of the best accounts on Twitter, and many of its more than half million followers agree. His Twitter account is the only one that’s been retweeted by the White House, Bill Gates and Prince, a succinct summarization of Dash’s interests. As a writer and artist, Dash has been a contributing editor and monthly columnist for Wired, has had his works exhibited in the New Museum of Contemporary Art, and has DJed the XOXO arts festival. Dash serves as a board member for companies and non-profits aligned with his advocacy: Stack Overflow, the world’s largest community for computer programmers; Data & Society Research Institute, the pioneering research organization examining the impact of tech on society and culture; NY Tech Alliance, one of the world’s largest tech trade organizations; Cash Music, the nonprofit working to support musicians online; and the Lower East Side Girls Club, which serves girls and families in New York City. He also advises major startups and non-profits including Medium and DonorsChoose. Earlier in his career, Dash founded the non-profit Expert Labs, a research initiative backed by the MacArthur Foundation and the American Association for the Advancement of Science (AAAS) to collaborate with the White House and federal agencies on direct public engagement in policy making. He also helped start Six Apart, the company that invented the publishing technology behind many of the earliest and most influential blogs on the Internet.